Initially published in Egypt’s Ahram. After 12 years of diplomatic proposals and 20 months of tough negotiations, theocratic Iran and world powers have reached a nuclear deal that, regardless of its potential advantages, is undoubtedly a victory for smart illiberalism and a potential kiss of death for the prospect of liberal, pluralistic democracies in the Middle East. Both illiberal Shia and Sunni Islamists and illiberal non-Islamist autocrats could receive an enormous boost from the deal. A few years ago, against all advice, I visited the Islamic Republic of Iran. To my surprise, I found a vibrant nation, with many liberal youth yearning for freedom and democracy. Those youth may now celebrate the lifting of sanctions and the end of isolation, but it is doubtful the nuclear deal will bridge the deep divide between them and their theocratic rulers. For the Iranian Mullahs, the nuclear deal is an indirect acknowledgment from the West that their anti-modernity model is viable and successful. US President Barack Obama may be genuine in his hopes that Iran will abandon its “path of violence and rigid ideology” following this “historic agreement,” but his hopes may turn out to be no more than wishful thinking. The regime –now less isolated– has less incentive to couple its agreed abandonment of its nuclear program with an abandonment of what it sees as successful ideology than ever before. Many commentators have pointed out that the deal could not have come at a worse time for the Arab world. With open sectarian tension in many Arab countries, a strong Islamic Iran will only inspire other political Islamic groups to try to match up to the Mullahs. Iran’s regional influence in Lebanon, Iraq, Syria, and Yemen will only prompt a counter movement by forces that share an underlying belief in Islamism, but differ in its sectarian interpretation. Since 1979, Sunni Islamism has learned one important lesson from Iran: “Yes, we can” -– a slogan the Islamists touted quietly, long before Obama uttered those words in 2008. 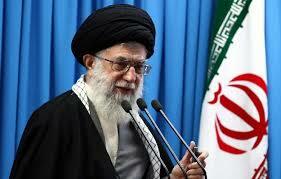 Arab Islamists saw theocratic Iran as a perfect model for fulfilling their dream of ruling Muslim societies. The new nuclear deal will add two more lessons, and liberal democracy is not one of them– defiance and lobbying in Washington. Last Saturday, Ahrar Al-Sham, an Islamist Sunni insurgent group fighting in Syria, published an article in the Washington Post claiming to believe in “a moderate future for Syria.” Charles Lister, a visiting fellow at Brookings, scrutinized their claim: “Ahrar Al-Sham has been one of the most consistent military allies of Al-Qaeda affiliate Jabhat Al-Nusra.” The publication of the article in itself indicates how some people in the corridors of power in Washington are willing to buy Ahrar’s narrative. The implication for Syria could not be more serious. Syria will continue to be torn between two mutually exclusive Sunni versus Shia forces; many of them are radical, ruthless, and undemocratic. Somehow, the Obama administration seems to see no problem in embracing both. As columnist Joyce Karam has written, Obama’s choices for Iran should be coupled with a regional strategy for his administration. CNN’s Farid Zakaria thinks that Washington and others can talk to both sides of the divide to try to broker a reduction of tensions. However, tacitly embracing radical Shia militias’ fight against radical Sunni groups such as the Islamic State (ISIS), while pretending that other radicals such as Ahrar Al-Sham are moderate, does not seem to be a sound strategy. In Egypt, neither the removal of Hosni Mubarak nor the ousting of Mohamed Morsi has produced a liberal democracy. Moreover, a significant section of the Muslim Brotherhood, despite its antipathy to Shia Islamism, has started to view the Iranian model as the way forward to regain power. They wrongly attribute their failure to run the country during Morsi’s tenure to what they describe as their “reluctance to embrace “revolutionary politics.” The Mullahs’ violent ejection of their opponents in 1979 is seen as “a model.” In addition, the Muslim Brotherhood and its supporters will continue to lobby in Washington, hoping that its projection of an Iranian–style defiance will convince the Obama Administration to exert pressure on the leadership in Cairo to change its posture toward the group. On the other hand, many among President Abdel Fattah El-Sisi’s supporters will use Iran as a pretext to justify more crackdown on opponents, and argue that world powers, which are willing to lift sanctions against the Iranian regime, despite 36 years of ruthless rule, have no moral ground on which to judge Egypt. In his speech in Cairo in 2009, President Obama advocated tolerance, respect for minorities, and religious freedom. He also said elections alone do not constitute a true democracy. Now, as Hisham Melhem, Bureau Chief of the Al Arabiya News Channel in Washington, has pointed out, “after almost six and a half years of trying to shape events in the Middle East, President Obama has very little to show for it except the nuclear deal with Iran.” More alarmingly, the American president seems to have lowered the bar, and is now willing to accept a softer definition of moderation to include any group, entity, or state willing to show pragmatism and cooperation with the United States, regardless of that state’s intolerant actions on the ground. There are intrinsic reasons behind the metastasizing sectarian and ethnic conflicts that followed the failed Arab awakening. It is unreasonable to expect the United States to “fix” the region; however, it is dangerous for the US to empower illiberalism in a region that suffers mainly as a consequence of its illiberal players. It would be a pity if President Obama went down in the history books as the man who fumbled with the West’s anti-illiberalism alarm button, and embraced the enemies of liberalism in the Middle East. This entry was posted in Best Read, Iran, Middle East, Politics, Syria and tagged #Iran, Illiberalism, Iran deal, Islamism, Liberalism, Muslim Brotherhood, Obama, Violant islamism. Bookmark the permalink. As the world awaits the US President Trump’s decision on Iran nuclear deal, I herewith reblog my piece from 2015 on why I oppossed the deal. Two years later, as Iran and its allies control most of Syria, and dominate Lebanon’s political scene, I still stand with my views.